Besides providing the capability to track the source of the pirated content, it’s watermarking’s versatility that makes it so useful. With watermarking all players in the chain can protect their valuable content. Let’s start at the beginning. Distributor watermarking enables content owners, sports rights holders and broadcasters to identify the weak link in their distribution networks. Once leaked content is detected they can work with that identified distributor to improve the distributor’s security measures. Or in the most extreme case for consistently non-conforming distributors terminate their agreement if proactive actions are not adopted over an agreed period. Then there’s session-based watermarking. This type of watermarking allows operators, or indeed content owners/sports rights holders who go direct to consumer, to identify the platform or bad actors that are leaking their content. There’s broadcast watermarking for satellite. For OTT, there’s pre- or post-encoder watermarking, depending on the operator’s preferred integration requirements. Consumer demand for live sports is at an all-time high. This makes live sports content both a key differentiator for pay-TV operators and a cornerstone for pirates. What’s more, when it comes to live sports there’s an extra dynamic which comes into play. The value of sports content is at its highest while it’s being broadcast. As such, seconds count in disrupting illegal live streaming! Being able to quickly identify and remove the infringing content is the name of the game. This is where Just-in-time watermarking™ comes in. With Just-in-time watermarking, the watermark is embedded on-the-fly. By using this type of watermarking ensures that illegal activity is detected and the source of the leak identified in just 1-2 minutes. Yes, that quick! Undoubtedly a game changer when it comes to protecting the value of sports rights! The benefits don’t stop there. For operators and broadcasters adopting this type of watermarking the integration point is moved to their just-in-time packager. This means that their encoder stays the same – no need to change. Plus, there’s no extra CDN storage costs! 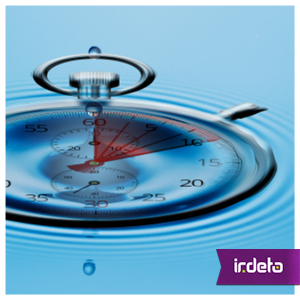 Just-in-time watermarking merges the benefits of on-demand head-end based watermarking with the fastest detection time in the industry! Combine this with state of the art Piracy Control Services monitoring all forms of online piracy and you have the best and most effective way to protect your content, revenue and brand. This entry was posted in Media & Entertainment and tagged distributor watermark, Irdeto, Just-in-time watermarking, online piracy, piracy control, session-based watermarking, watermarking. Bookmark the permalink.